Welcome to Mercy Ebute's Blog: Photo: Emmanuel Adebayor shows off his fleet of cars in an usual way. 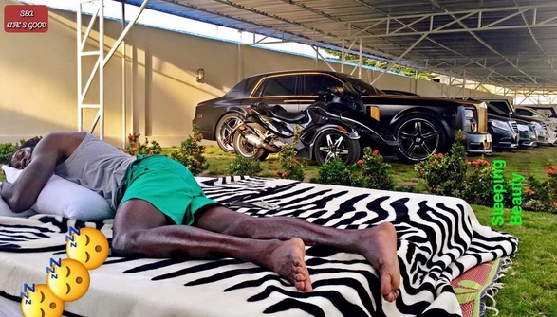 Photo: Emmanuel Adebayor shows off his fleet of cars in an usual way. He shared the photo of himself sleeping in his garage, what a way to show off. Some of his followers commented that the cars were sick, but I think sleeping Emmanuel is the sick one, obsessionally sick with cars.